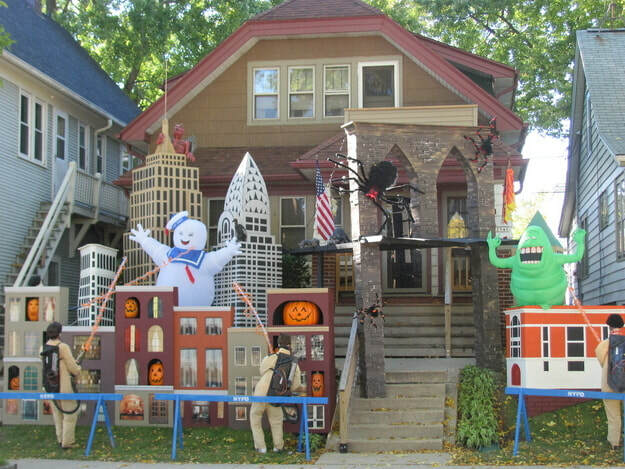 The wackiest Halloween displays around america! 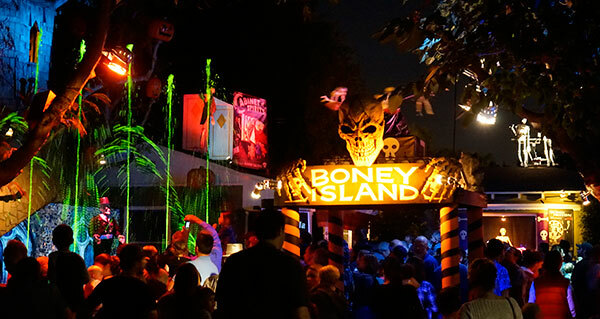 Boney Island in Burbank, California is so wacky that it attracts thousands of little ghost and goblins each and every year! 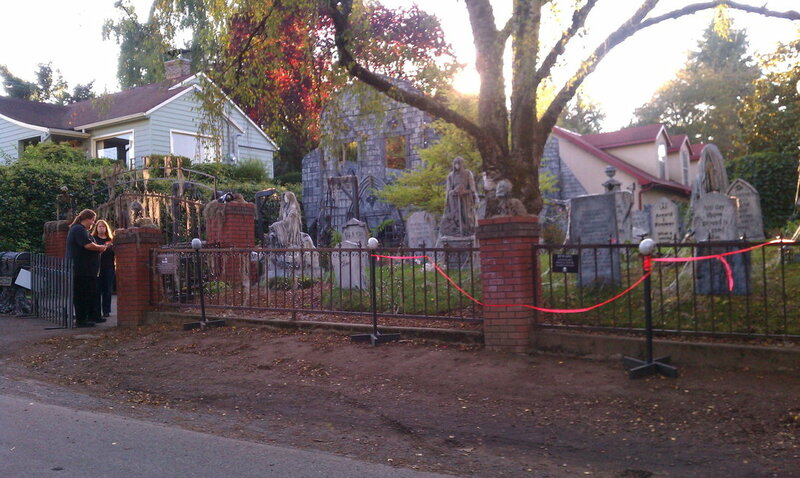 The Davis Graveyard in Milwaukie, Oregon is so scary that they can't keep the dead people out of it! 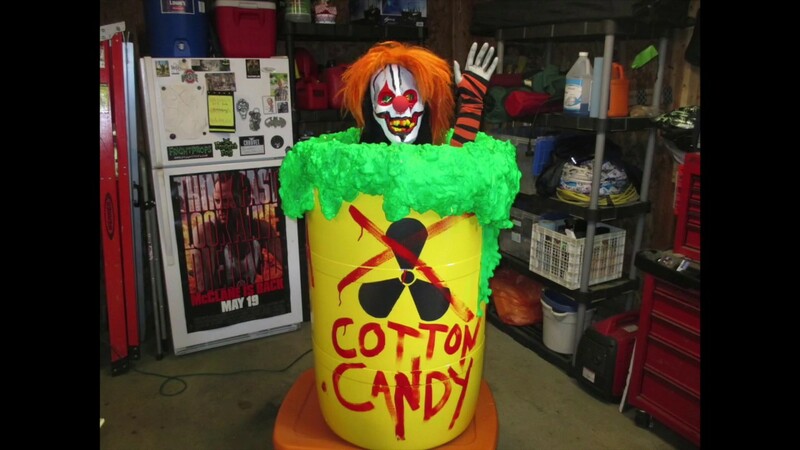 The Scarriott's Yard Haunt in Bexley, Ohio has so many scary clowns that it scares away the real clowns (politicians) in this mid Ohio town. goodbye summer, hello fall - time to get your landscape ready for winter! Fall and winter have a different meaning to many of us just based on the fact on where we live. My family now lives on the west coast so the thoughts of a brutally cold winter are just a distant memory. Regardless of where you live in America with the exception of the tropical locations such as Florida and Hawaii, the winter weather is something we have to prepare our landscape for. Cold temperatures, dry sweeping winds, and the snow cover of winter can all cause many problems in our landscape without proper preparation. For example, sprinkler systems can be totally destroyed by a prolonged freeze, plants can get windburn or broken branches from snow load, and patios and driveways can sustain damage from plows or corrosive deicing products. Protecting a landscape against winter damage starts in the design process. Snow management professionals recommend that you plan for snow storage from the start, either by leaving 20 to 30 feet of space at the end of the driveway where a plow can push the snow, or by leaving an open space all along the side of the driveway where snow can be left. Whatever you do, avoid designing a narrow driveway or placing obstacles such as light posts or landscaping right up against the drive, as this will increase the cost of snow management for as long as you own the property. It may not seem intuitive, but summer is the best time to think about projects that will protect your decks, arbors, pathways and patios during the winter months. Wood absorbs water, so by keeping all wooden structures in the landscape painted or sealed, you extend their life and increase the safety of any wood you may have to walk on. It's also important to fill cracks in asphalt, and seal pavers, stone or concrete to protect these surfaces from the freeze/ thaw cycle, as well as from deicing products. Once fall hits, you'll need to start thinking about winterization in quickly. Have your landscaper do a fall blowout of your irrigation system, where they use a commercial blower to get all of the water out of your irrigation pipes. This prevents damage to the pipes and the moving parts in your system. This is also the time to partially drain aboveground ponds, the pool, and to winterize pipes such as those in the outdoor kitchen. Bring patio furniture indoors, or use specially-designed covers to protect your furniture over the winter. Landscaping plants aren't immune to winter either, although if you design carefully with native and other well-adapted plants, you can minimize the care needed to keep your landscape healthy. Lawns should be fertilized with a winterizer fertilizer, raked free of debris, and cut lower than usual to prevent fungal diseases from overwintering. Shrubs may need to be wrapped with breathable fabric or sprayed with an anti-desiccant to keep branches from breaking due to the weight of snow, or drying out in the harsh winter winds. In general, evergreen shrubs and trees need more protection than plants which lose their leaves. Once spring hits and the snow melts, you're safe to unwrap your plants, take the covers off your patio furniture, refill ponds and pools, and start up your irrigation system again. Because irrigation heads can be knocked out of place or damaged by snow shovels and plows, it's a good idea to have a landscaping professional come out for a spring startup visit to set the timer, check for leaks, and confirm the system is watering plants rather than spraying onto pathways or the house. ​Winterization doesn't have to be difficult. Most of the tasks fit into a regular course of maintenance and contribute to having a healthy landscape year-round. Taking a little bit of extra care in the design process and throughout the year preserves your investment in the landscaping and will keep the garden healthy long into the future. If your schedule doesn't allow you to take care of these necessary tasks, you can always look for a local handyman or landscape service that will know what to do to keep your landscape protected from the ravages of winter weather. Your front yard is the first thing your visitors or potential buyers will see. More importantly, your home’s exterior is the first thing you see when you come home every day. The front of your home becomes your pride and joy when your home’s curb appeal comes into view? On top of the personal satisfaction factor, your exterior and landscaping are also a significant part of your home’s worth. The ideas for increasing home value are limitless. Potential home buyers form their first impression of a home from its curb appeal. Yet often a home’s outdoor landscaping is overlooked, or underdone. An attractive and well-maintained landscape can add as much as 10 percent to the value of your home. Lets explore the opportunities that you can take advantage of without breaking your pocket book! The choice of plantings will be dictated by the climate of your residence. We suggest that you visit your local nursery to identify which plants will not only look great but will be able to thrive in your area. Do a quick Google search by typing in "local nursery locations near me" to find nurseries near you. Mulch is often overlooked but is crucial in protecting your plants. By placing mulch around your plantings, it will reduce water evaporation by as much as 30%. Mulch comes in many forms, some are perfect for desert plants and others are more suited for more moist climates. Mulch can be organic or inorganic, fine or coarse. Well chosen mulch will not only beautify your landscape design it also unifies it.....mulch brings everything together. Natural stone is among the most long lasting and beautiful additions to any landscape. Its also the most unpredictable and sometimes most costly. Every designer uses rock and boulders as their poetic license to express the owners personality and tastes. No matter how well your designer delineates boulders or rocks into a plan, the actual rocks used may not resemble that shape at all. Each boulder and rock is unique so placement and sizing is very important. The real talent for fine rock work can only be done by a designer or contract with many years of experience. 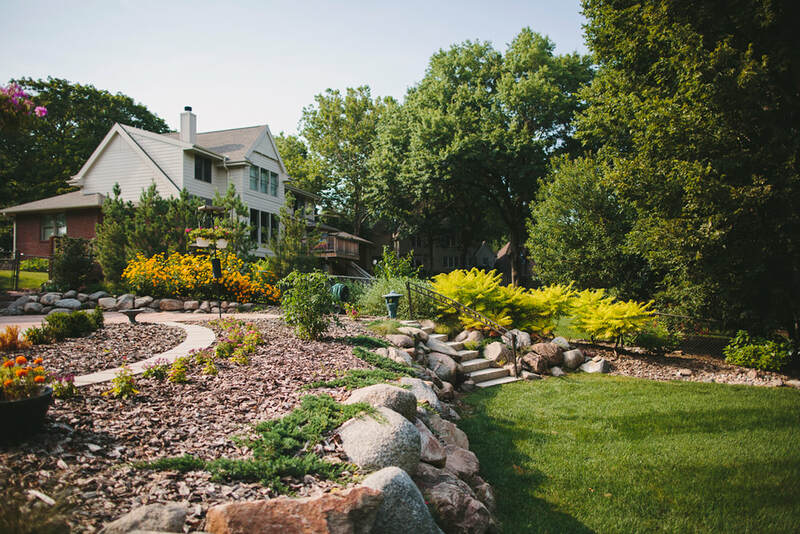 When we design a landscape project for one of our clients, its one of the very first questions we ask them....would you like to add "Rocks and or Boulders" to your landscape design? Its a tricky proposition because it does bring the cost of the project up but its the owners opportunity to put their personal touch to their project. Real estate investors often use landscaping as an immediate selling point whenever they rehab a home. Alex with Buying Nevada Houses told us that before a potential buyer decides to visit a home, they consider its curb appeal as the deciding factor as to weather to visit a home or not. Alex says that if you are interested in selling your Las Vegas house fast, you'll have to make the curb appeal of your home a priority. How we prepare our designs. After an extensive discussion with our client and surveying the existing property, we set out by putting our clients wishes and our expertise on paper. Landscape designs are very challenging, because the decisions that are made relative to the type of planting and landscape features will be in place for a very long time. Its an expensive and time consuming process, so we are committed to make sure that our client is completely satisfied with their choices and the eventual outcome of the project. Here's where the process starts to take shape........on paper! 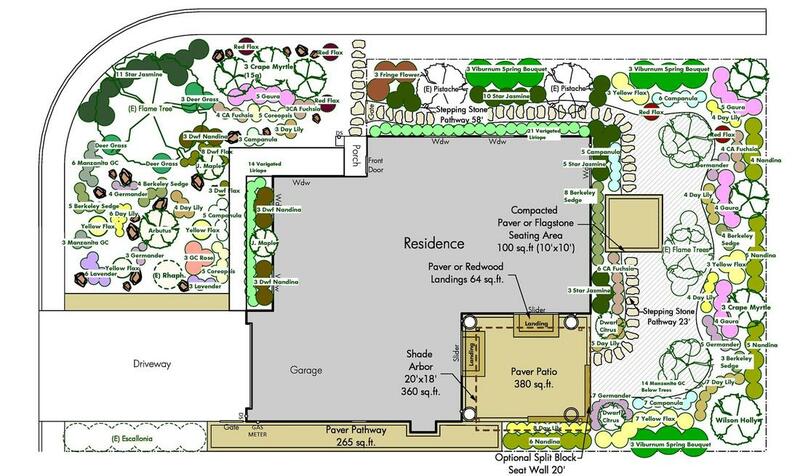 The Things you can do prior to contacting a landscape designer. ​1. Assess your site first. Take a look around the land surrounding your home with an objective eye toward understanding sun exposure, drainage patterns, soil type and wind direction. 2. Evaluate the type and style of existing structures. Is your house built in the colonial style, or does it evoke a Mediterranean villa? Will the garages, garden sheds, and patios remain in place, or do they need enhancement or camouflage? 3. Make a list of problems with your property you would like to solve. Do you need more parking space for cars? Is the house being suffocated by overgrown planting and trees? Does your fence match your home’s design? Does your property lack natural features that add grace and beauty? 4. Ask if you can see examples of your designer’s finished work. A garden designer will create a lovely world for you, but you should carefully assess the fit between his/her vision and your needs. We strive to create the landscape of your vision, not ours. We’ll create a plan that may be installed all at once, or take months or years to unfold. It’s your choice. 5. Choose a firm that has solid credentials and satisfied customers. Flowers come and go, trees can be cut down or planted, but driveways, steps, and walkways are permanent structures. We've been in the landscape installation, planting and tree care business for more than 15 years. We’re confident we can create and install a landscape design that will beautify your home, and provide lasting pleasure year round. For a free consultation, please contact us today.